Recently, the Institute for Fiscal Studies released some troubling research on the gender pay gap. According to their findings women earn 18% less than men on average, with the gap widening significantly after women have children. And others dissecting the data completely differently. At PensionBee we’ve been taking a keen interest in the issue - we’re all about a fair financial deal for everyone - so we thought we’d weigh in on the debate, looking more specifically at pension pots. So, what exactly does the data tell us? Women over 45 carry 22% less in their pension than men in the same age group. It’s only when women reach their mid-thirties that a growing gap begins to appear. 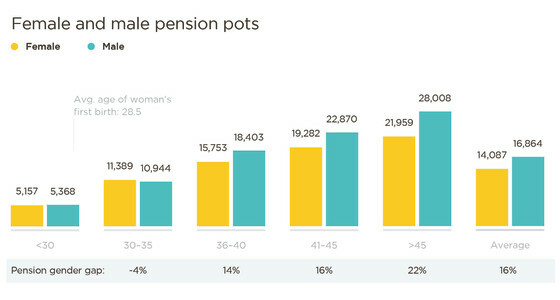 In contrast, pension pots are fairly equal amongst men and women in their early 30s. It’s only when women reach their mid-thirties that a growing gap begins to appear, with men between 36 - 40 boasting a pension 14% larger than that of their female counterparts. From the ages of 41 - 45 the gap grows even greater; the average man’s pot is 16% bigger than a woman’s. As the graph above indicates, the impact of this disparity can be great, with women over the age of 45 carrying around £6,000 less in their pots. Why exactly is this happening? Our findings support the recent IFS research that points to a gender pay gap, with the disparity between women’s and men’s earnings rising to over 30% ten years after a woman has her first child. According to ONS research the average woman has her first child at the age of 28.5 years, and it’s after this age that our data reveals a growing pensions gap. 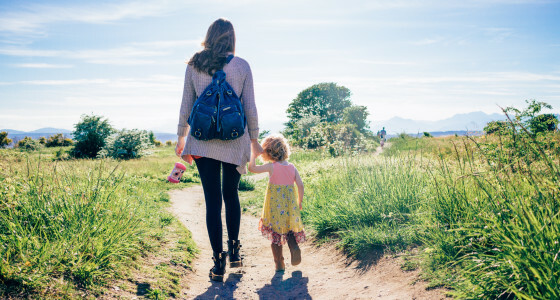 It seems that having a child is what hits women’s pension pots hardest.